Mike, chair of the Environmental Law Practice Area, handles all aspects of New Jersey and federal environmental law, including permitting and litigation, CAFRA, sewage disposal and water supply, wetlands, riparian (tidelands) law, solid waste, flood hazard areas, siting of energy and other industrial facilities, site remediation, Pinelands, Highlands, cultural resources, stormwater, wastewater planning, water and air pollution. He also appears before planning and zoning boards and has handled complex construction litigation matters. Mike is environmental counsel to the New Jersey Builders Association and general counsel to the Shore Builders Association of Central New Jersey. The Environmental Law Department authored the environmental law section of The New Jersey Land Use and Environmental Law Treatise and Mike co-authors the New Jersey Water Law Survey updates to the Waters and Water Rights Treatise. 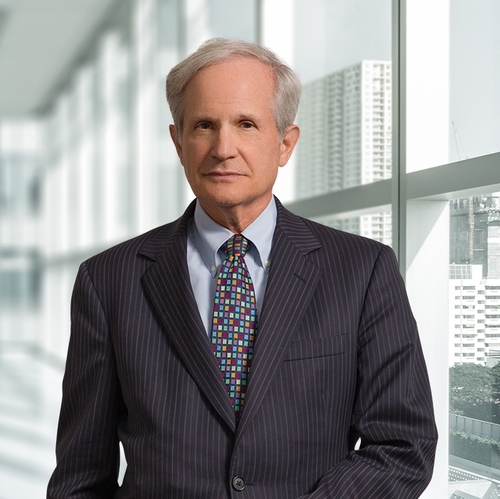 He has been involved in major litigation both before the New Jersey courts and the Office of Administrative Law and has argued before the New Jersey Supreme Court and Appellate Division. Mike has served as an expert witness in cases before the New Jersey Superior Court and the U.S. District Court. Mike has taught a course, Municipal Land Use Law, as co-adjunct faculty for Rutgers University and lectured on environmental law in Monmouth University graduate courses. He has spoken on environmental issues at numerous seminars on behalf of Chambers of Commerce, the New Jersey Builders Association, the New Jersey Society of Real Estate Appraisers, ICLE and the Essex County Bar Association. He previously co-hosted "Environmental Straight Talk" on cable television. Prior to joining the firm in 1976, Mike was a Deputy Attorney General with the NJ Department of Law & Public Safety for four years. He represented the Department of Environmental Protection in diverse areas of environmental law, prosecuting numerous cases on behalf of the State. Life Member in Who's Who National Registry. "Expecting A Friendly Audience In Trenton"
"Panel: Rebuilding Sandy-Damaged Homes To New Building Codes Saves Money, Reduces Risk"
"Highlands Regional Master Plan Comment Period Extended"